Design Speakers at the Saudi Design Week 2017 included a list of speakers coming from international and influential companies in the design world. For the 2017 edition of the Saudi Design Week, held in Riyadh, Saudi Arabia, Tarek Atrissi was invited to be a speaker at the annual event and to conduct a typography workshop. The event took place between 4 and 8 October 2017, and Atrissi was among an impressive list of guest speakers which included Patrick Schumacher from Zaha Hadid Architect, and Andre Le Masurier from Google, just to name a few. Tarek Atrissi giving his talk at Saudi Design Week in Riyadh, Saudi Arabia, in a beautiful architectural venue designed by Zaha Hadid. Tarek Atrissi’s participation took place at the King Abdullah Petroleum Studies and Research Center, a beautiful architectural venue designed by Zaha Hadid. 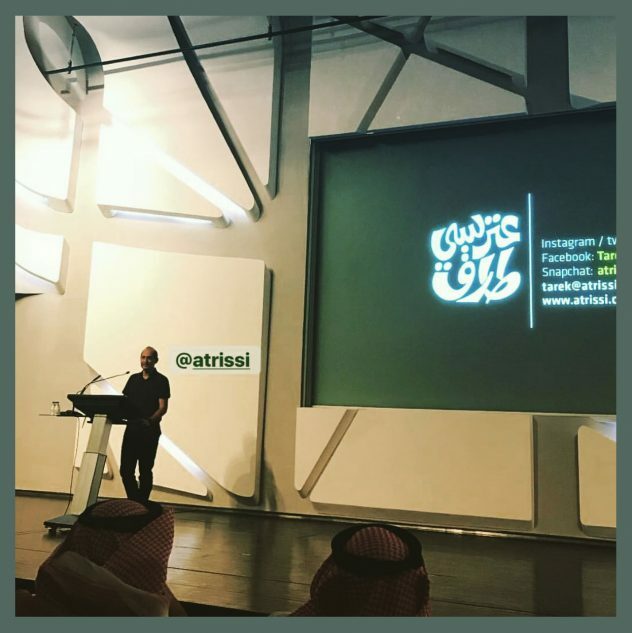 The lecture given by Atrissi, open to the public, focused on the use of Arabic Typography in the context of branding and visual communication in the Middle East. 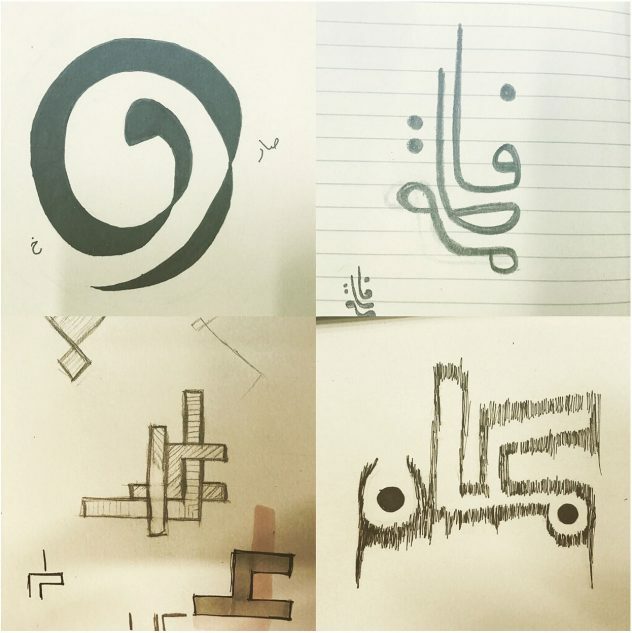 The two days typography workshop, open to a selected group of design students, educators and professionals from the region, focused on the theory and practice of Arabic lettering.